Earlier today the HTC First, a.k.a Facebook Phone, was officially announced at a press conference held at the social network’s Menlo Park headquarters. HTC CEO came on stage for a few moments and remarked that HTC First is going to be the ultimate social smartphone. It was interesting to note that he did not talk about the specifications of HTC First during his time on stage, the focus was entirely on Facebook Home, as it should have been. There’s nothing too special about the First, it is a standard mid-range Android smartphone. It doesn’t matter if HTC CEO didn’t reveal any HTC First specifications on stage, we’ve got them right here for you. The HTC First measures 4.96 x 2.56 x 0.35 inches with a weight of 4.37 ounces. Up front there’s a 4.3 inch display with a 1280 x 720 pixel resolution and a 1.6 megapixel camera. Under the hood there’s a dualcore 1.4GHz Qualcomm MSM8930 processor coupled with 1GB of RAM. There’s no option of expanding the internal 16GB memory through a microSD card. On the back there’s a 5 megapixel camera capable of full 1080p HD video recording with LED flash. A small Facebook logo can be found at the bottom. HTC First is no slouch on the connectivity front. There’s support for 3G/4G world and multimode LTE, Bluetooth 4.0, Wi-Fi 802.11 a/b/g/n, NFC and the ability to use the smartphone as a mobile hotspot for 8 devices. It comes with a 2000 mAh battery, which can not be removed. As mentioned above, the HTC First is a pretty standard smartphone and it does not have any outstanding features in the hardware or software. 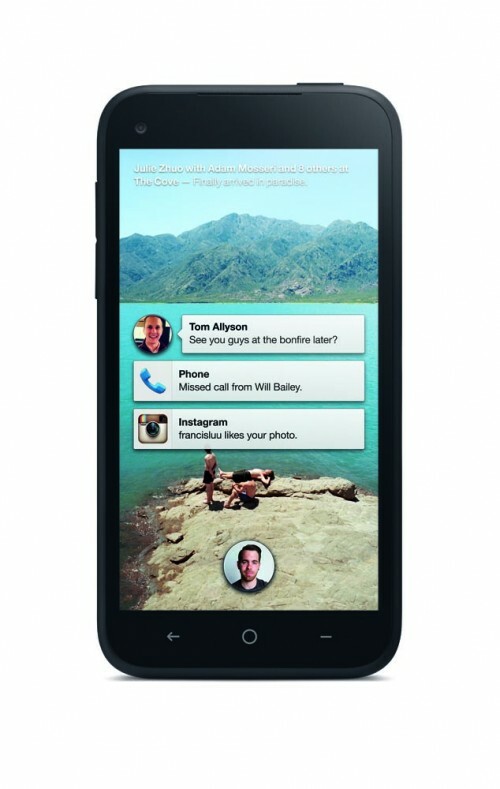 It will be running Android 4.1 Jelly Bean and will come pre-installed with Facebook Home as well as Instagram. Perhaps that can be counted as a “feature”, that it is the only smartphone to ship with Instagram pre-installed. The device is capable of playing back 720p HD video. It offers an estimated talk talktime of 14 hours. The HTC First comes in four colors, White, Black, Red and Pale. 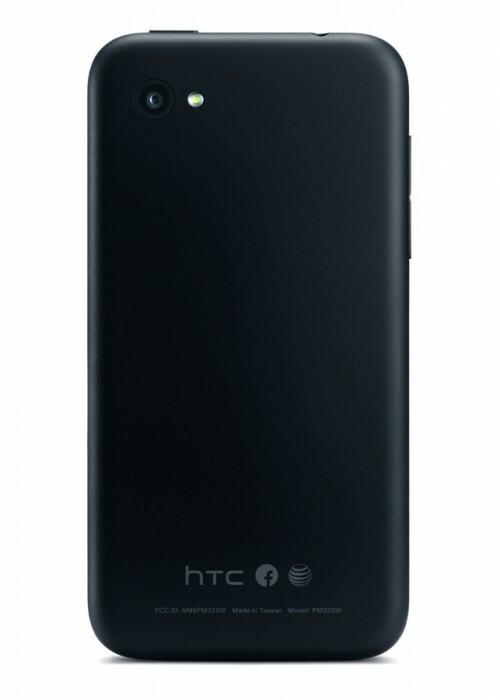 It will be available exclusively from AT&T on the 12th of April for $99.99 on contract, whereas preorders begin today. The device will support AT&T’s 4G LTE network straight out of the box. It is priced at $449.99 without contract. No word as yet if it will also be provided to other U.S. carriers. EE of UK has confirmed that it will start offering HTC First in the Summer, no word on the UK pricing though. 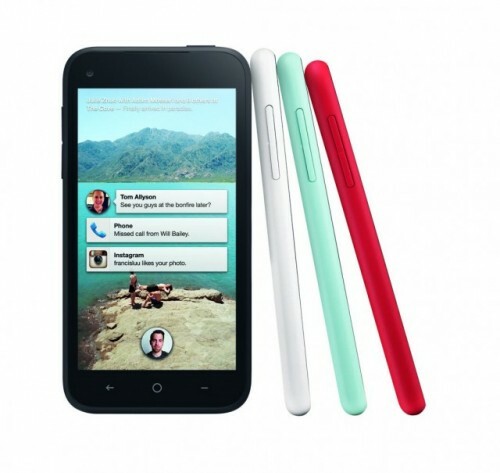 HTC First will also be available from Orange in the UK.